Why the 2009 Subaru Forester? I visited service only for scheduled inspections Reliable car. This is my second Subaru Forester. The previous one was also reliable. 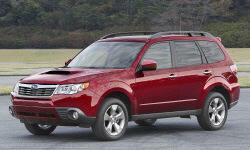 Why Not the 2009 Subaru Forester?